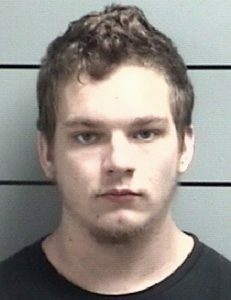 MARSHALL COUNTY — Alan Dilts, 19, Argos, has been arrested on an initial charge of child molestation, a level 3 felony. He was booked at the Marshall County Jail. The case has been given to the Marshall County Prosecutor’s Office for formal review and charges. The Marshall County Sheriff’s Department received a complaint June 26 Dilts had inappropriate sexual contact with an underage female. The sheriff’s department investigated the incident and found Dilts did have illegal contact with an underage female June 23, in the early morning hours at the residence in Marshall County.